Cynthia Kay and Company was Featured in The Boston Herald! 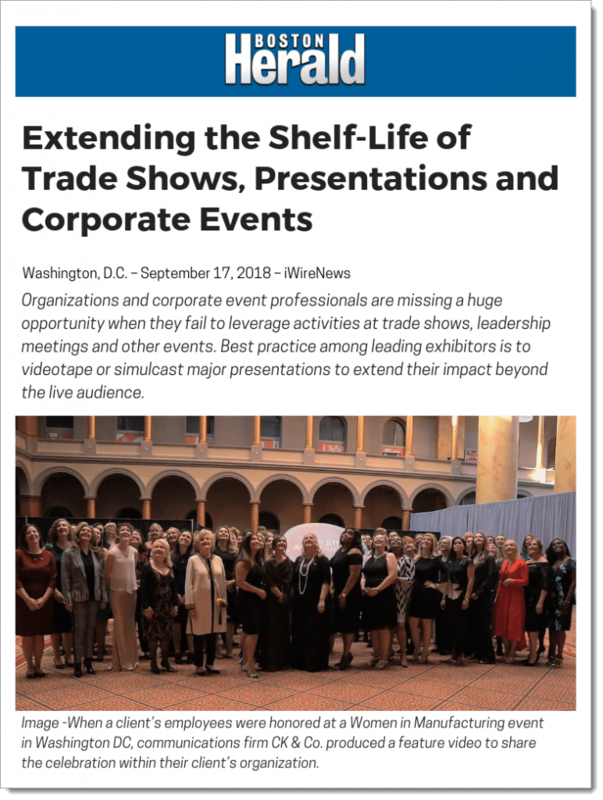 Washington, D.C. – Sept. 17, 2018 – When a client’s employees were honored at a Women in Manufacturing event in Washington, D.C., communications firm Cynthia Kay & Co. produced a feature video to share the celebration within their client’s organization. 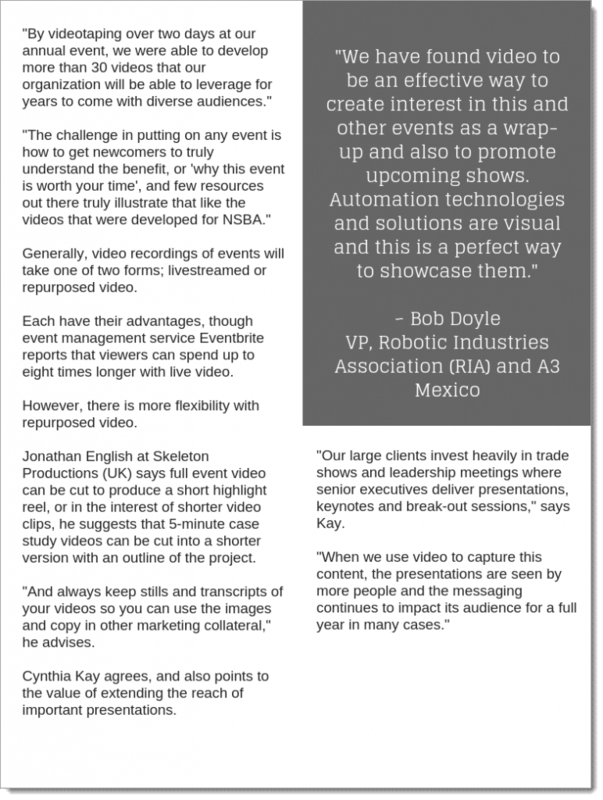 PreviousPrevious post:Small Business Tips: Making Yourself Heard Before CongressNextNext post:Think You Need a Video? Video Is Expensive! Or Is It? Lights. Camera. Action. Is Your Media Production Company the Right Fit? Do It Yourself Video… Good Idea or Not? Think You Need a Video? CK & CO takes on Chicago. 5+ miles on foot, 4+ locations, all before 2pm. Killin' it! Edited feature coming soon. Enter your information below to ask a specific question or to schedule me to speak at your event. Hire me to lead your next workshop. Enter your information below to get started. Enter your information below to receive my "Top Ten Dos and Don'ts" to help you prepare for your next business event. If you want to chat with me about speaking at your next event, let me know! Contact me about scheduling speaking event?